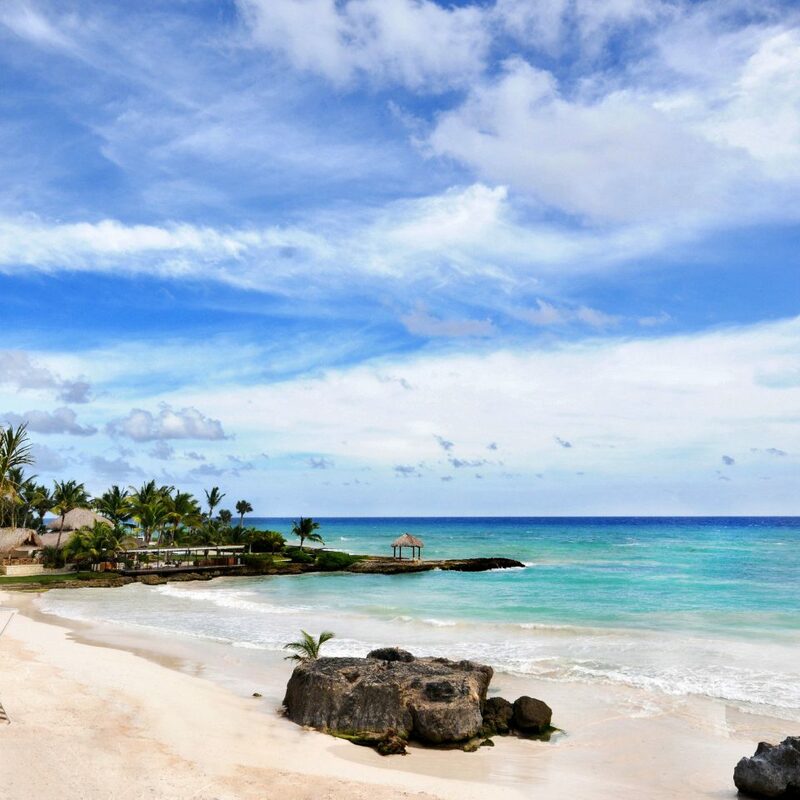 Part of the Dominican Republic’s 30,000-acre Cap Cana enclave, Eden Roc is a Relais & Châteaux outpost that blends European glamour with Caribbean charm in the form of lush gardens, jewel-toned villas and one of the prettiest sugar-white sand strips on the island. 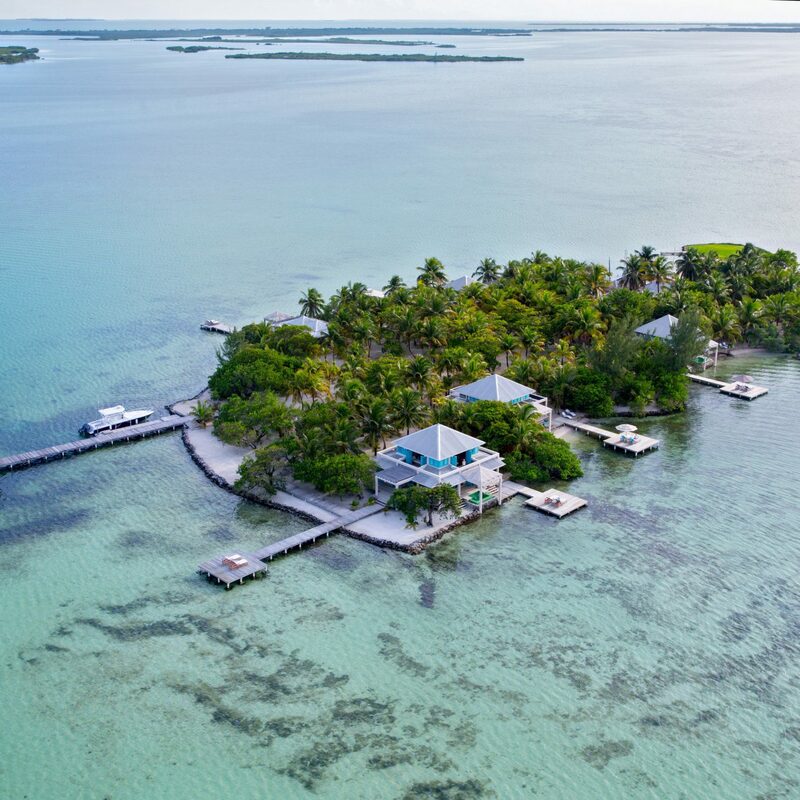 The 34 villas are positioned along a winding lagoon with a swim-up bar. 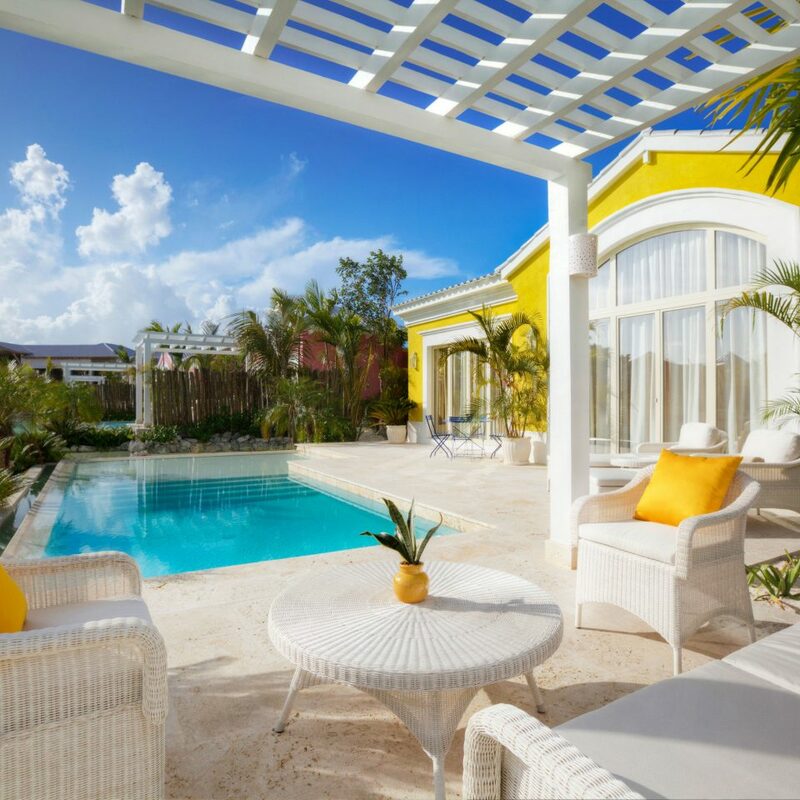 Taking inspiration from the technicolor Caribbean palette, villas are painted in jewel tones and each has a private pool dotted with lounge chairs. 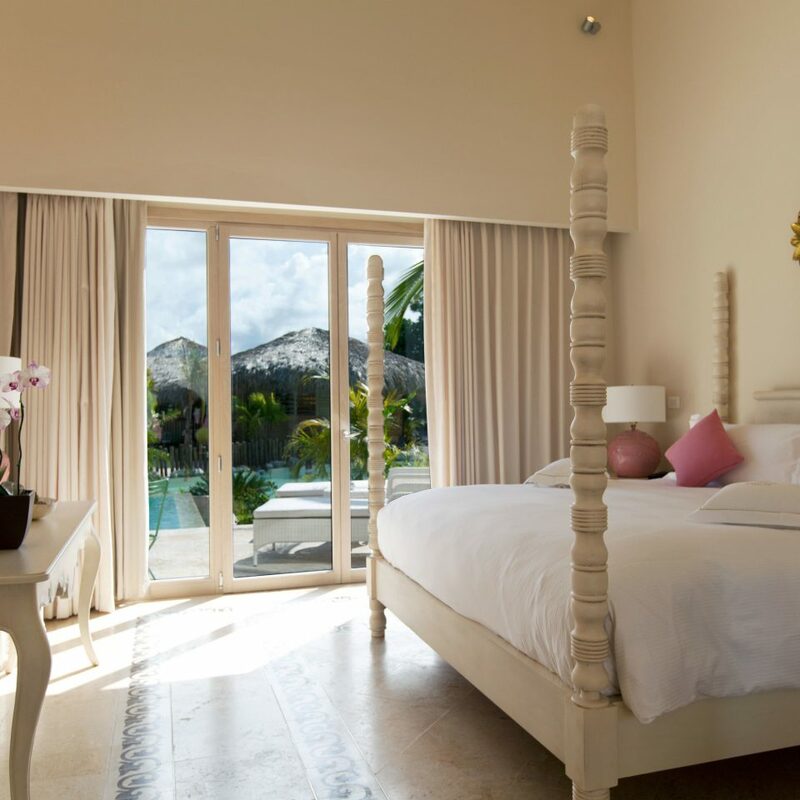 Inside, rooms are done up in neutral creams and whites, with marble floors, enormous windows and bold accents. 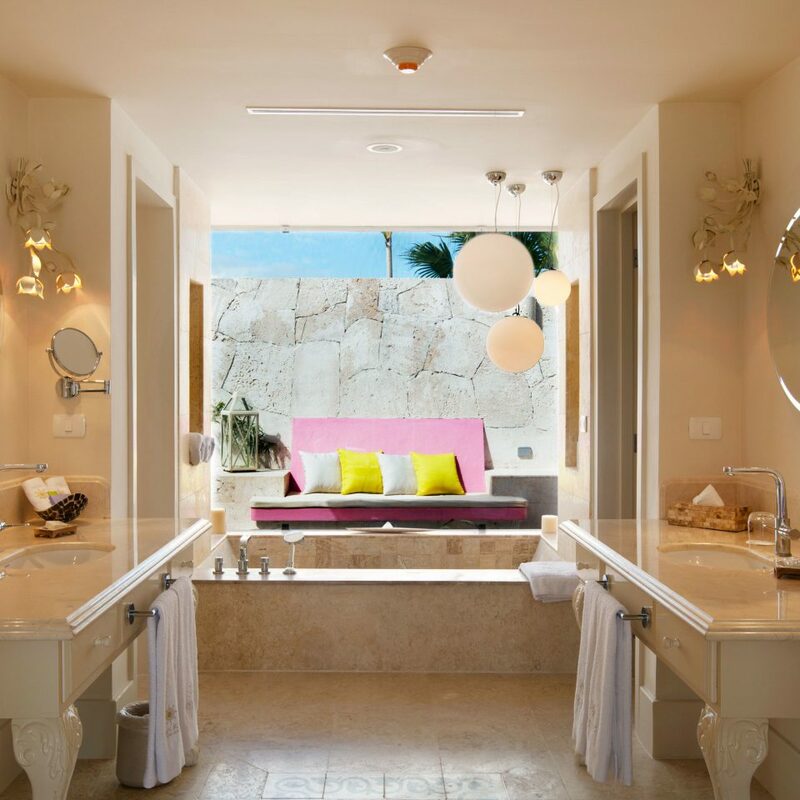 Mod cons include iPad-controlled lights, TV and sound system; coral stone baths; and free WiFi. 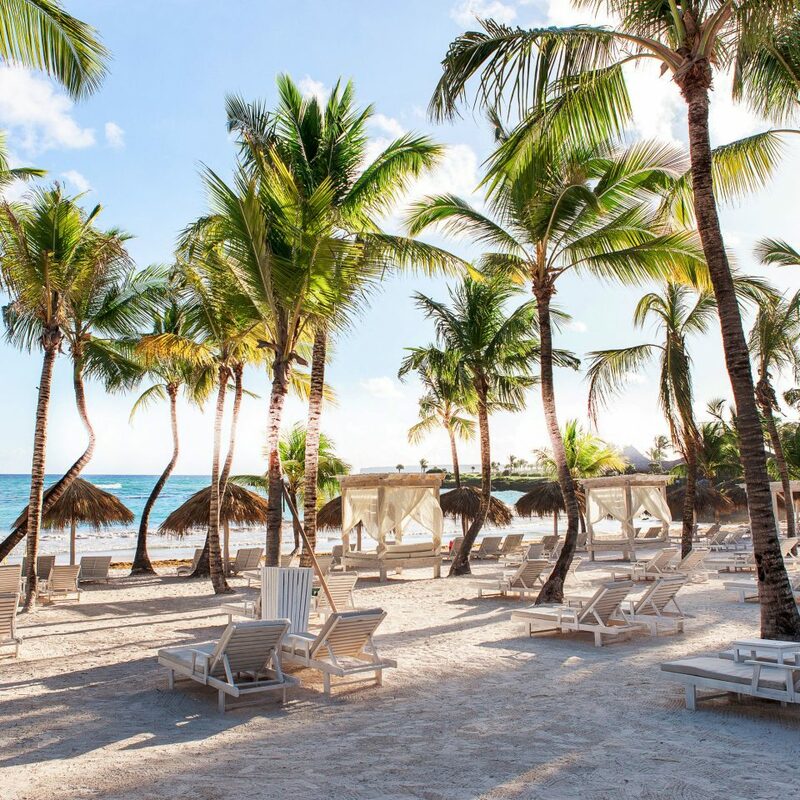 Guests have access to electric golf carts for trips to nearby Eden Roc Beach Club, a members-only club that’s also open to Eden Roc guests. 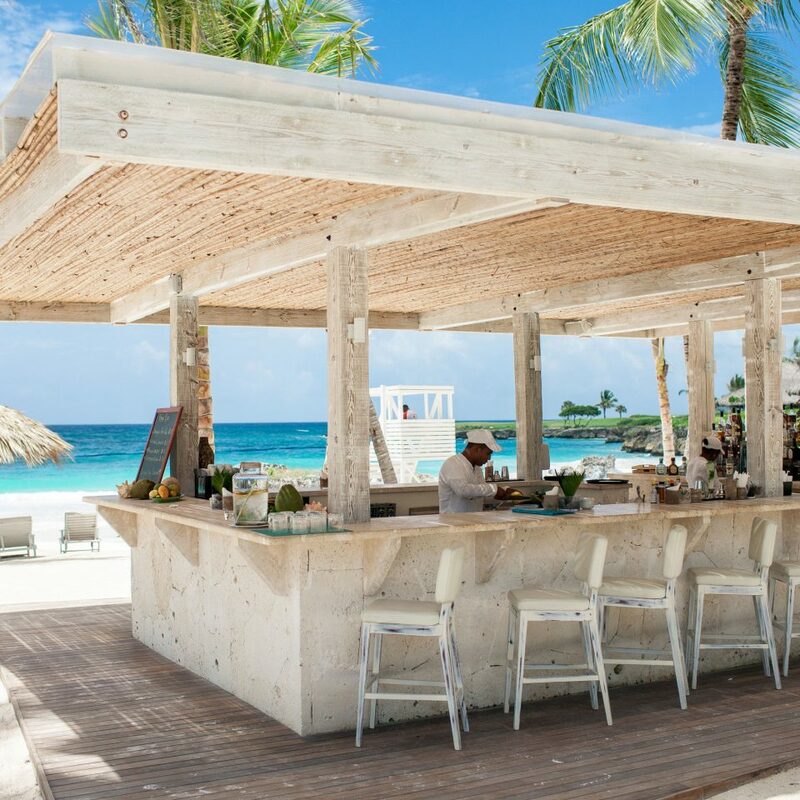 The resort’s distinct restaurants are headed up by Gianluca Re Fraschini, and all the menus are inspired by the local Caribbean bounty. Through the breezy lobby is Mediterraneo, a spot for breakfast and dinner with European specialties imported from artisanal purveyors; and the Riva Bar, which reflects the retro glamour of its namesake boat Riva Aquarama (a 1960s Monte Carlo icon). 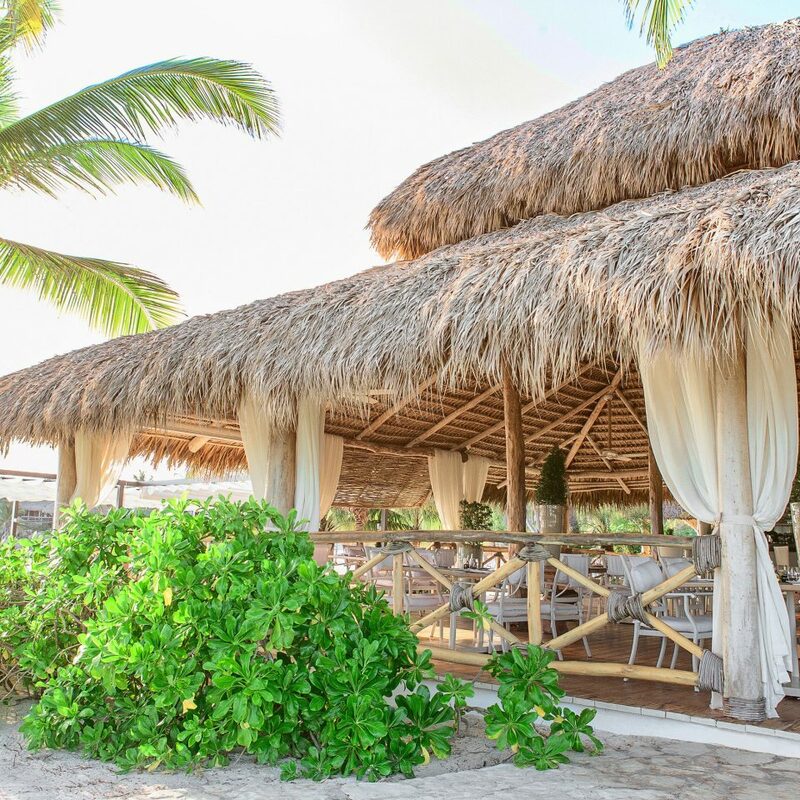 La Palapa, the open-air restaurant at Caletón Beach, offers panoramic ocean views, and the menu includes lobster, fish, grilled octopus and ceviche. 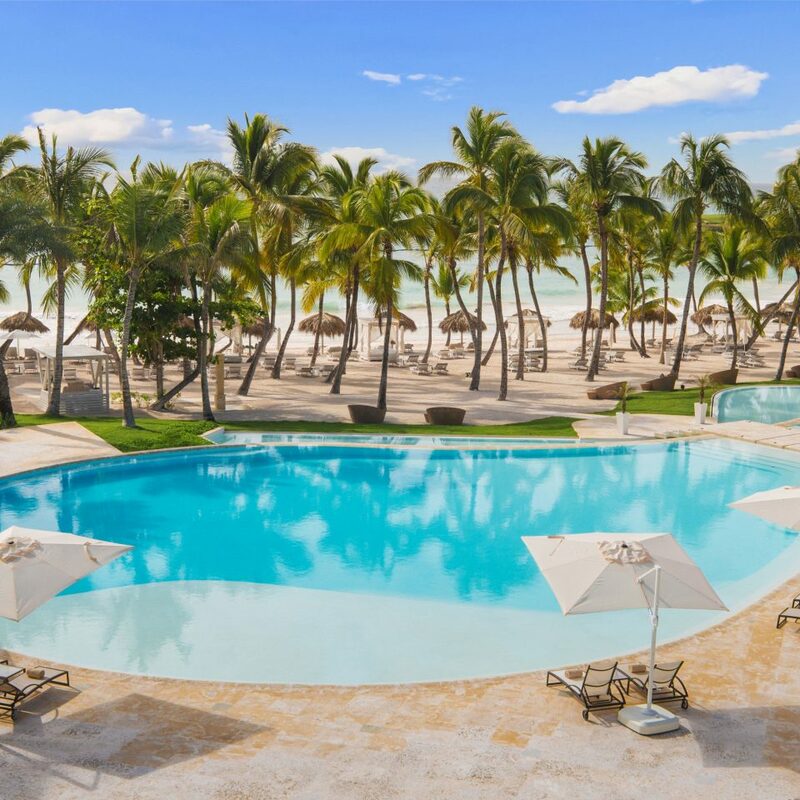 As the resort encompasses the Eden Roc Beach Club, guests can enjoy all the privileges at the members-only club, including the pool and spa. 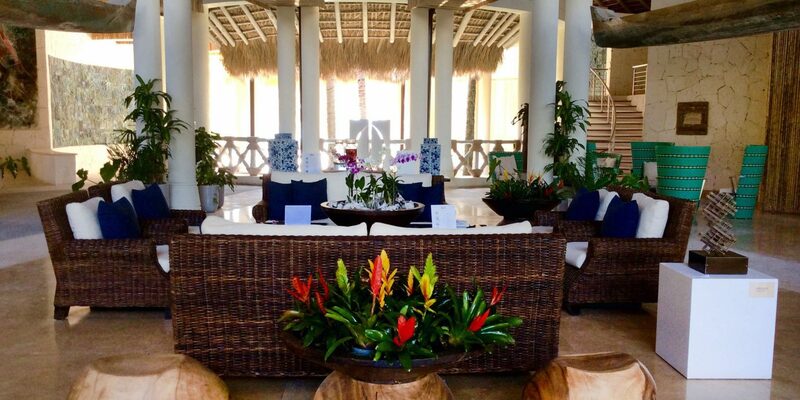 A highlight of the spa menu is the hourlong massage in the palapa on the beach, surrounded by ocean surf. 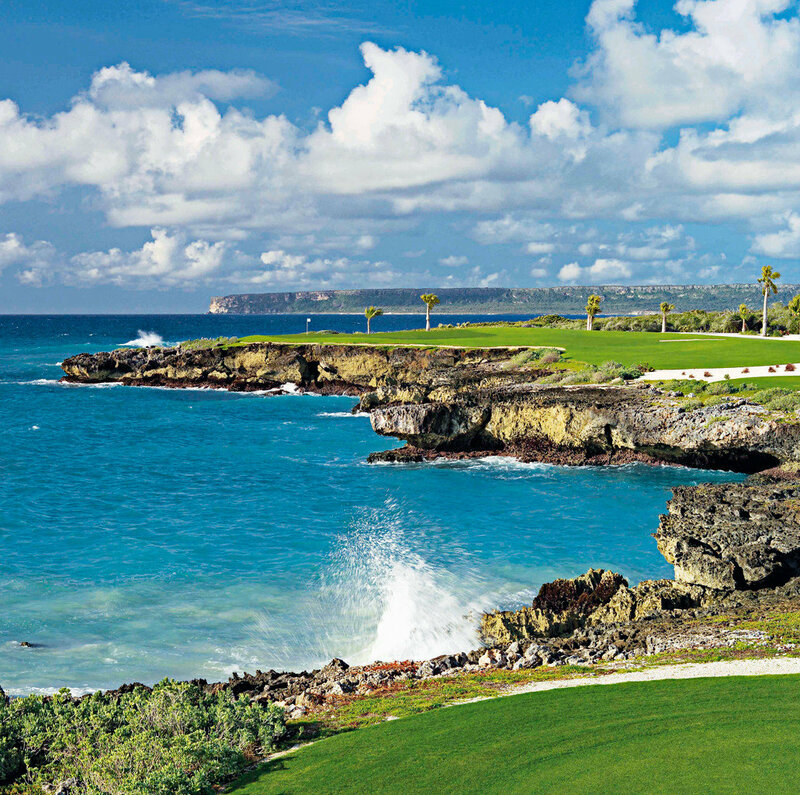 Golfers from around the world flock to Punta Espada, an impossibly scenic Jack Nicklaus-designed course that wraps around the Eden Roc Beach Club and Eden Roc. 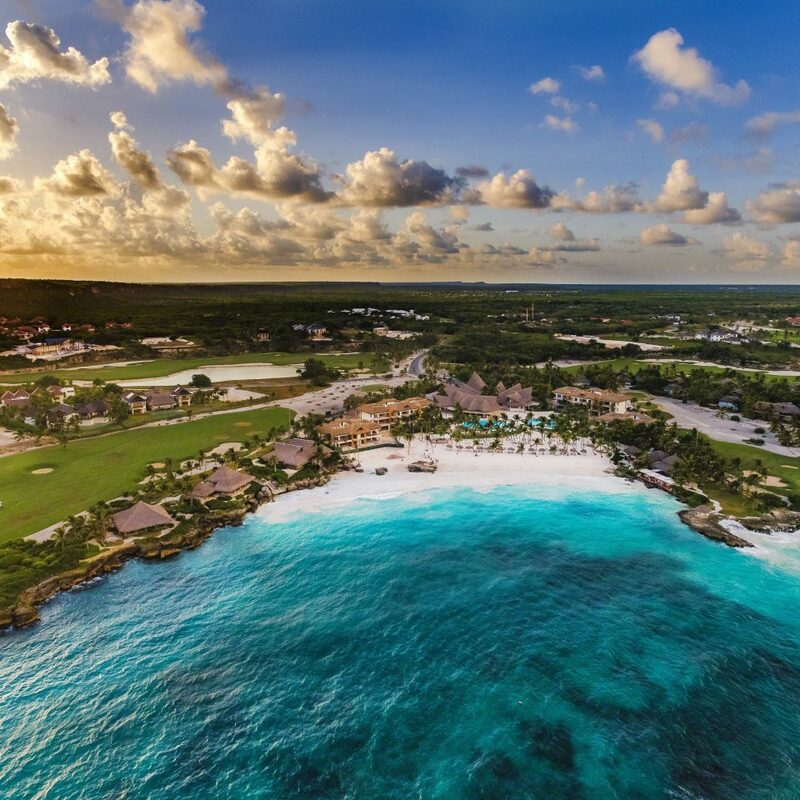 Because Cap Cana isn’t as developed as neighboring Punta Cana, there’s still plenty of wilderness to explore, including craggy cliffs and pristine forests, both of which offer groomed hiking trails. 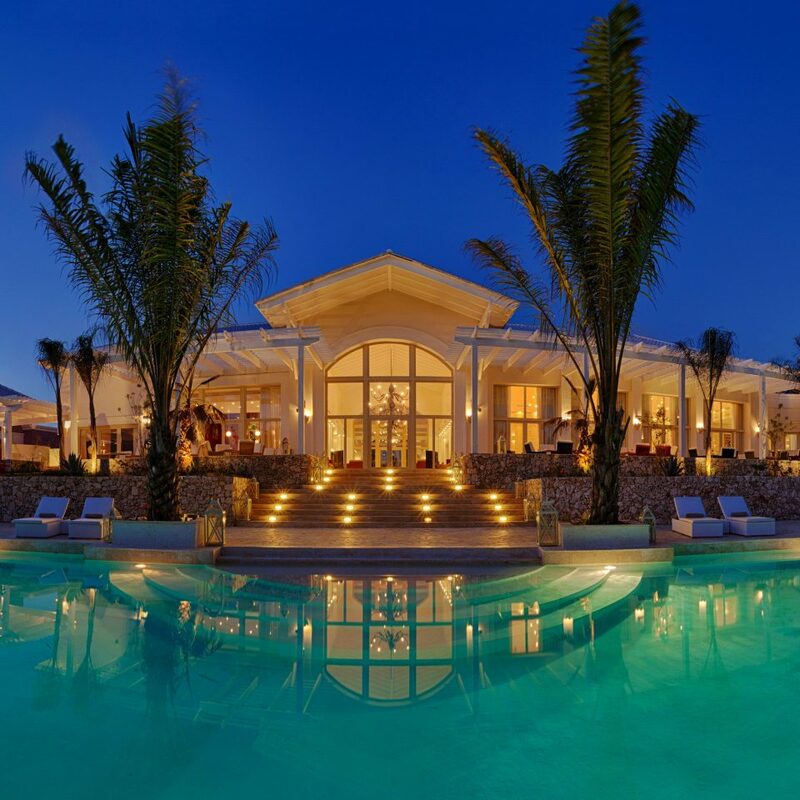 My husband and I visited Eden Roc at Cap Cana in February, 2019. We were blown away by the luxury: the attention to absolutely every detail, the quality of the food, the thoughtful and personal service. The room was gorgeous: we walked to our beautiful patio, the beach was straight ahead, breakfast was to the left and just beyond that was a fully outfitted, large fitness center. The room was so comfortable, with Nespresso coffee refilled daily, and housekeeping morning and night. The bed, the sound system...all first rate. The spa was the only thing that seemed to need a little polish, but the new one - I believe - is likely opened by now and will be a stunning addition to the main building. Moises was the concierge we worked with, and he was absolutely the most accommodating we've ever had. David was one of our favorite waiters, and the lunch he served so expertly every day is something I still think about: fresh sushi right on the beach. We felt like we were the only ones at the resort. 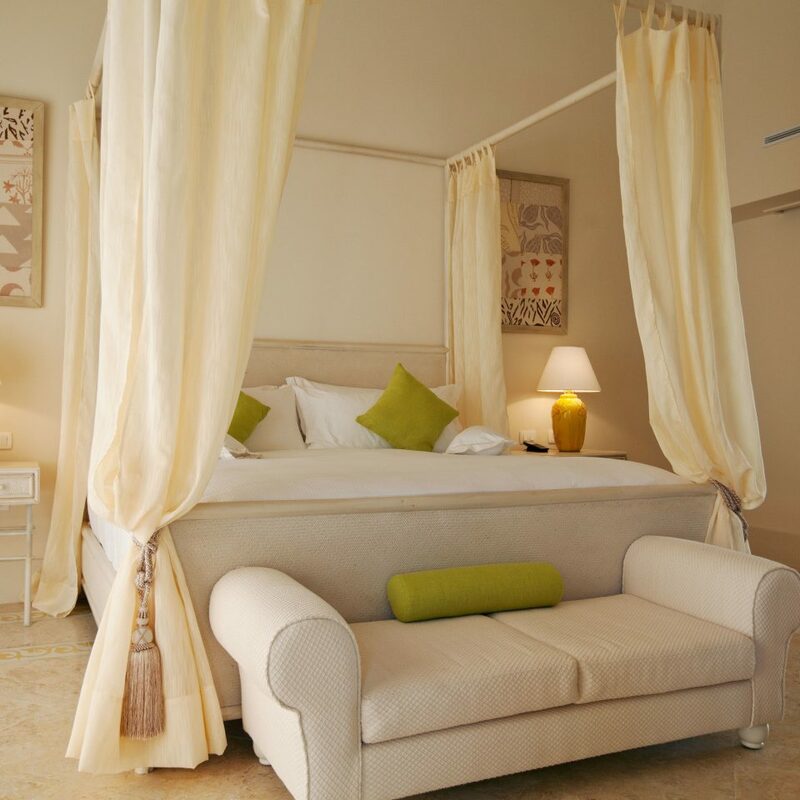 It's quiet, elegant and the perfect peaceful getaway only a short drive from the airport. 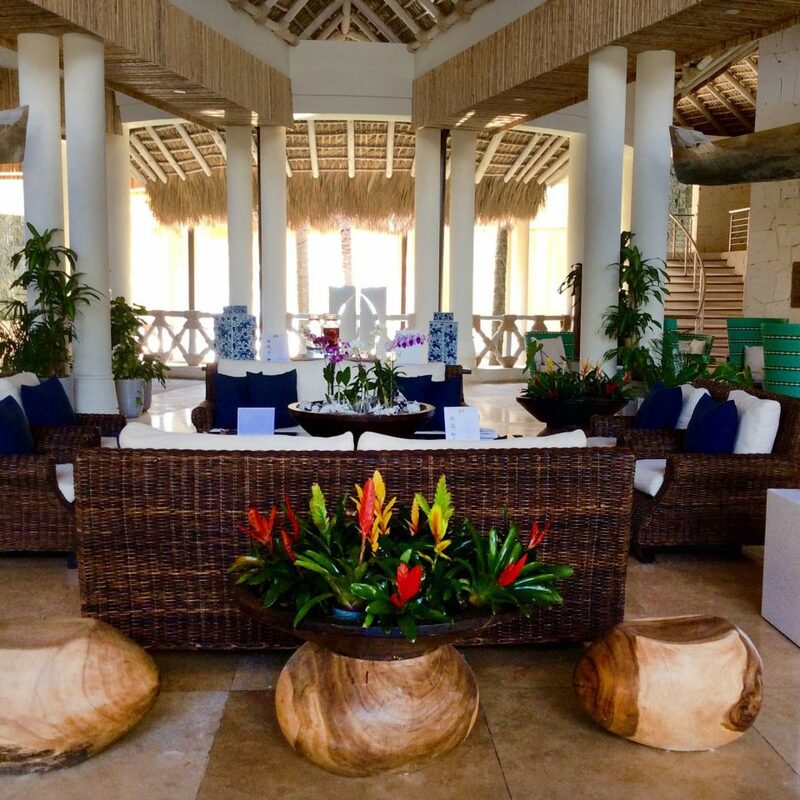 There is little in the way of nightlife, though this is exactly what we were looking for and why we'll return: a restful escape with healthy food, a place to unwind and catch up, workout and read. 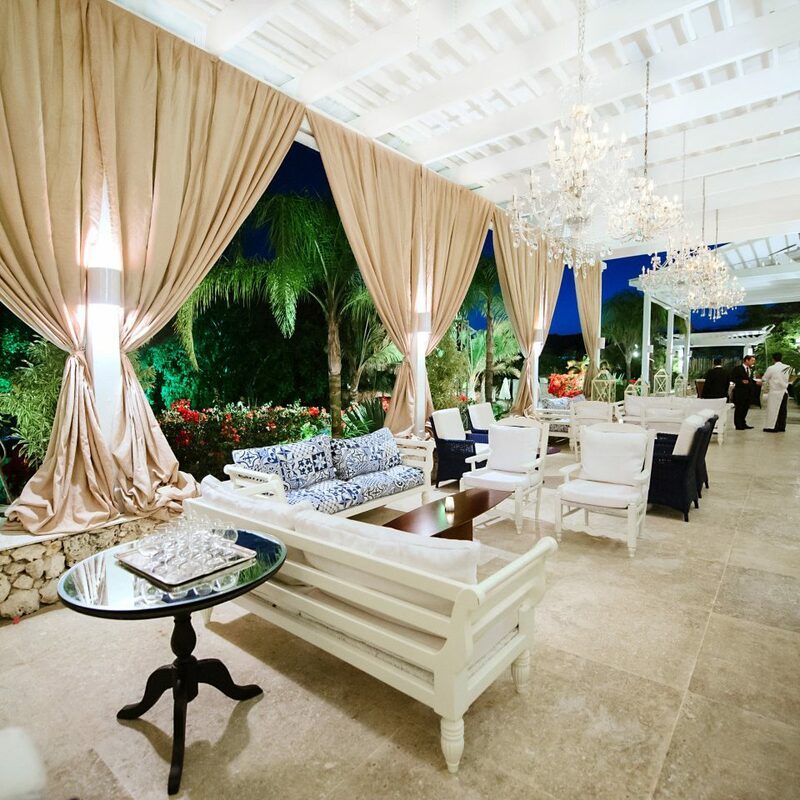 You will absolutely love this place: service, quality and luxurious elegance. Few places like this anywhere in the world. 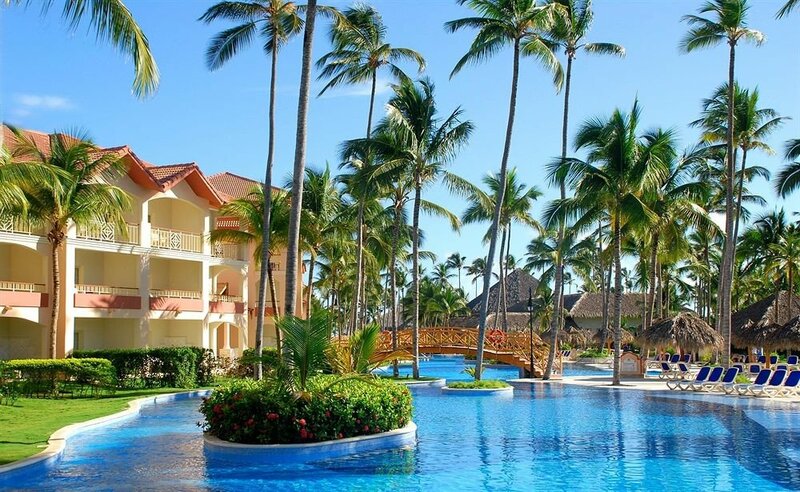 We stayed in the Dominican about 8 years ago and void to not return - I booked this trip as a last minute get away - This is one of the most perfectly set up operations from room to food to staff - it is hands down the nicest resort/best service we have received. Wonderful day spent with our friends at this impeccable resort. 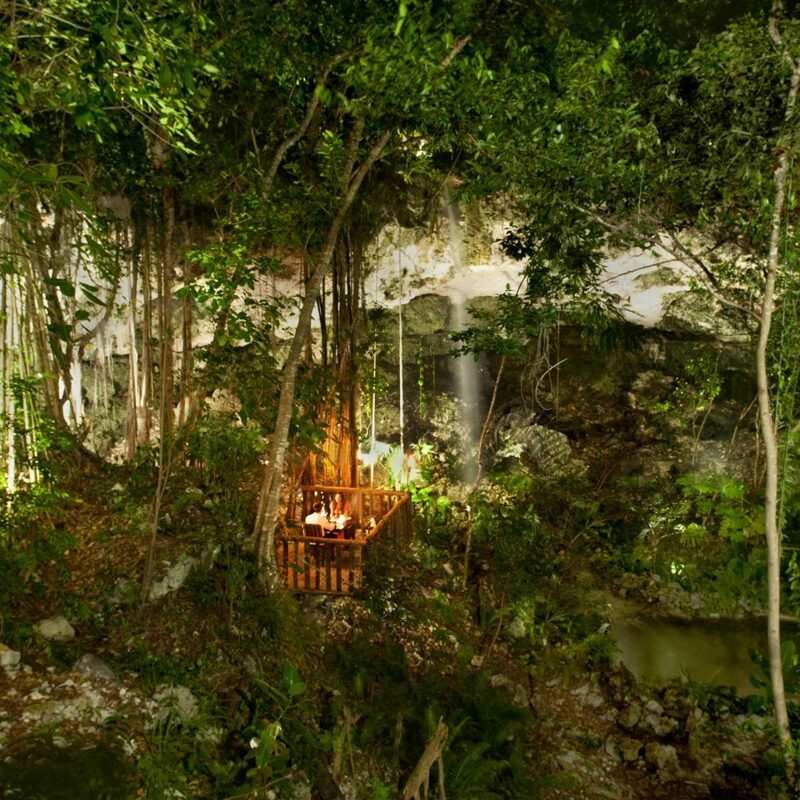 This is definitely a hidden paradise that meets every need. 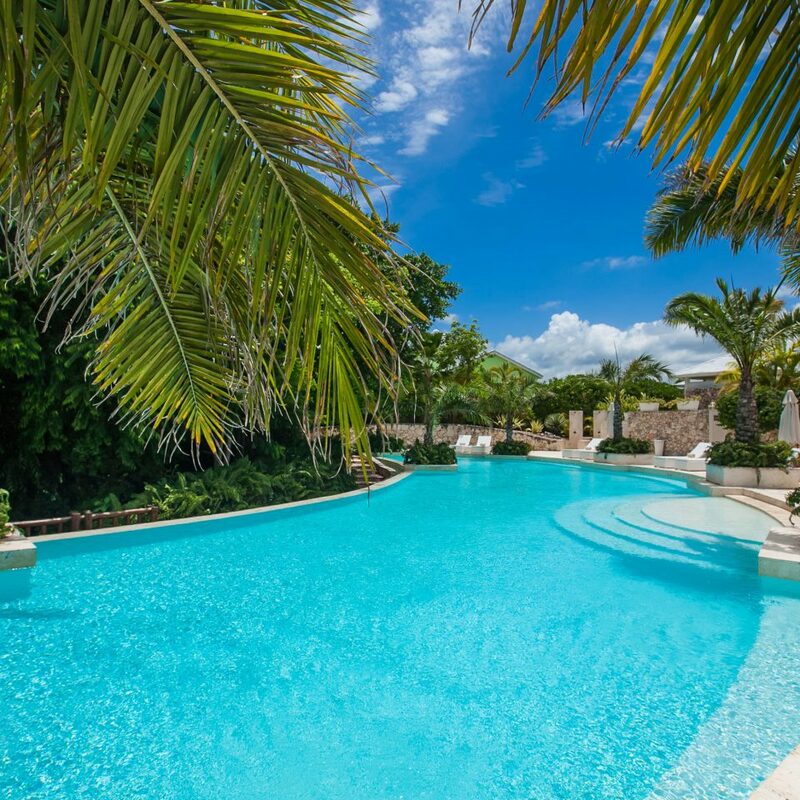 They have 2 large swimming pools (kids friendly). In addition, their private beach is so beautiful and it is really for me to find the words that would described how much we were amazed. Our friend showed us their suite/room and I must say that their room was spacious, clean, well appointed and meticulously maintained. We had a lunch at their Beach Restaurant and the food was just perfect (please try their plantation chips with guacamole). Wish we could have stayed longer. 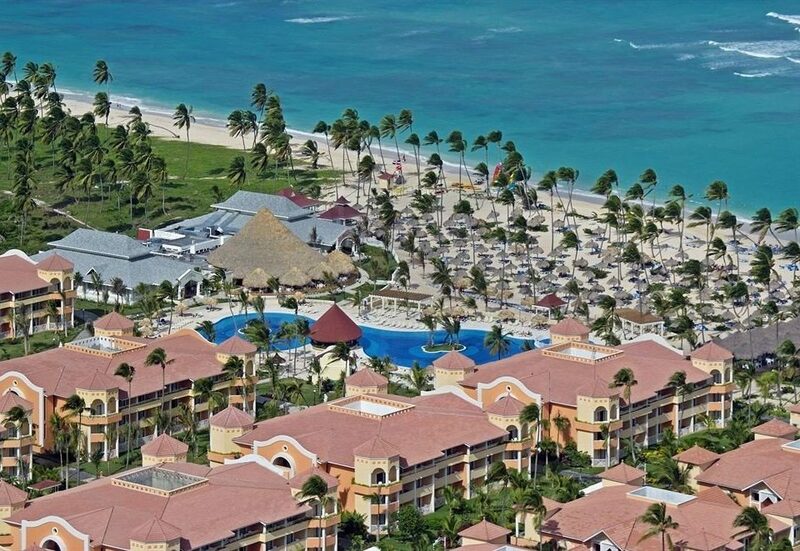 We are definitely coming back next year to this resort. Perfect setting. Staff was great and very friendly. The food is outstanding. The wine mark up was a bit much but over all it was great. Needs a bit more activities for the beach like a sunfish and paddle boards. We have been to magnificent places and Eden Roc is very nice. The service tries hard and does a good job. The food is good and the place is wonderfully small with perfect views and beach. 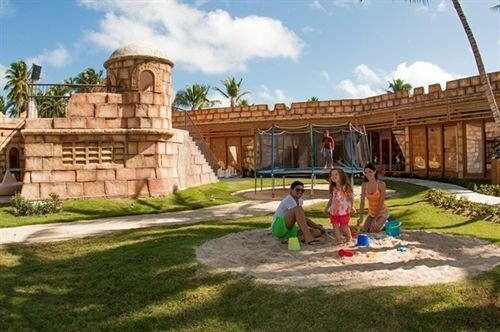 My criticism of Eden Roc is with a family of 5, there is no great room option. We had 1110, 1112 & 1114. 1110 is a perfect suite in the quietest corner and 1112 connects. 1114 was probably unnecessary but the girls liked having their own space. 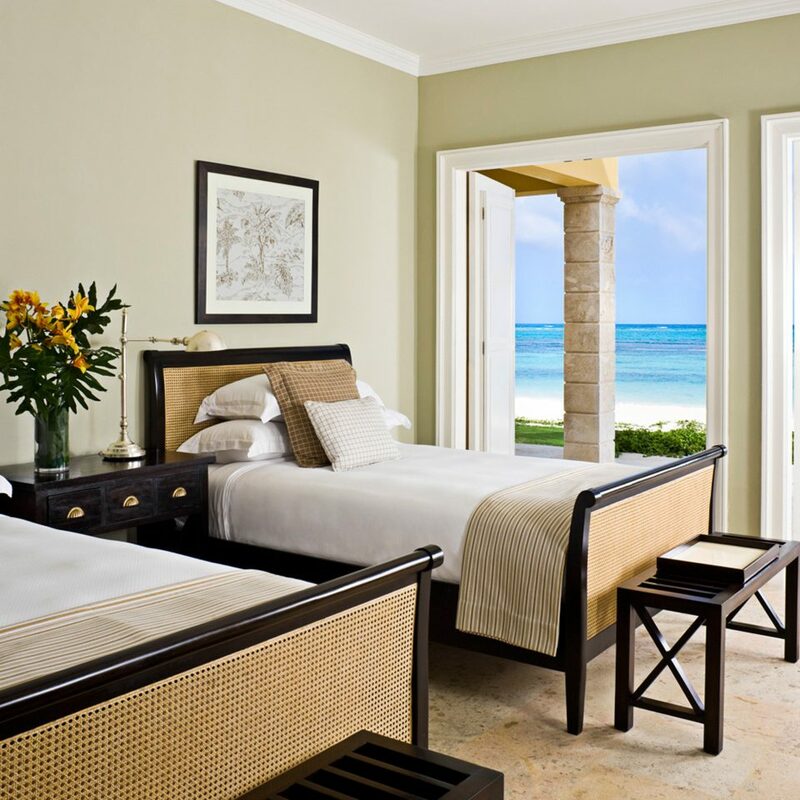 You need to know that you are going to a quiet place to relax and unwind with little to do. For this, it was terrific. Some small things that were annoying, pouring endless bottles water for every lunch and dinner really adds up. $60-80 added to each lunch just feels wrong. Also, any modifications to the menu such as just asking for a piece of grilled fish with salad turns into being charged for two meals, a fish entree and a salad. These thing get annoying and detract from the beauty and friendliness of Eden Roc. All in all, better for couples and we would not go back as a family but it was beautiful and relaxing for a mid-5 figure spring break. .